The Bieber-Bloom fight of 2014 really is the gift that keeps on giving. (If someone had actually been injured I wouldn't say that. But they weren't, so as it stands we have the man most well-known as Legolas fighting the man-child most well-known for being unnecessarily shirtless, and it's so random I can't take it!) The latest addition to this strange, strange news is that, apparently, Orlando Bloom is now hanging out with the ex-wife of the man who is "reportedly romancing" Bloom's ex-wife Miranda Kerr, the person who the Bieber-Bloom fight was allegedly about. Is that confusing enough for ya? Usually when the celebrities go overseas in the summer, there's a dry spell when it comes to entertainment news. This year is different. The Bieber-Bloom fights extends beyond just Bloom throwing a punch at Bieber. This thing has taken on a life of its own. There are ex-spouses who have switched partners! There are people involved on multiple continents! Leonardo DiCaprio was there! Hung out on a yacht with Michelle Rodriguez the day after the incident. Maybe had an affair with Justin Bieber but probably not because DEAR GOD WHY WOULD YOU DO THAT?! 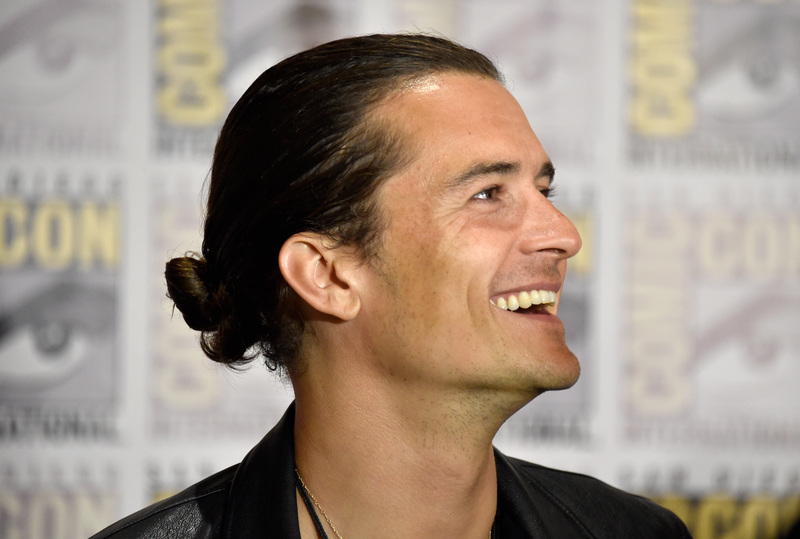 Once hung out with Orlando Bloom and everyone was like, "Oh, that's kinda weird. But they're probz not dating." OK! Does everyone have everything straight? Hopefully, no other celebrities will involve themselves in this mess. If, like, Octavia Spencer and Rob Kardashian end up being part of this, I'll officially give up.